Benevolent Jupiter enters a fix natured water sign Scorpio on October 11th, 2018 at 20:39 Pm. There may be disturbances in your official position You may be transferred to an unwanted place. You may also be disturbed and shifted from an important portfolio to an unimportant place. Your higher authorities will always be finding fault with you. Your colleagues will complain about you to the boss. If you exercise extra care in all the matters, you may overcome all the problems. You will face problems in your business. Starting a new business will be somewhat difficult. You cannot flourish in the Partnership businesses because your unwanted arguments will spoil the whole affair. Correct maintenance of accounts can keep the problems under control. You should treat the laborers under your control accommodating. Employed persons seeking better jobs should leave the present one after getting the better one. If they quit the present job and search for a better job, their search would be unending. They may also fall within the unemployed category. Jupiter in the 10th house will give all sorts of deceases. You will have health problems like weakness problems in the lungs cloistral, diabetic etc. You cannot be active in your activities of daily life. You will lie down, telling the name of decease. You will buy a new vehicle and a new house on loan. You will find problems financially for repayment of loan. You will take care of your mother and you will incur medical expenses for your mother. Misunderstanding prevails between the couple. You cannot maintain good relationship with your elder brother. You will be in a confused state of mind. While buying land, house etc. you will have trouble, if you do not check the documents properly. When Jupiter transits in the 10th place, you will lose interest in your studies. Progress will be disturbed. Your financial position will not be good. Want of money will result in unwanted quarrels in the family. Marriage proposals cannot always be materialized. Already married couples will also have misunderstanding with each other. You may have problems with your children also. You will not be in a position to take care of their requirements, because of your poor financial condition. Moreover your children’s health may be affected. Their education and job opportunities will be affected. Their marriage proposals may not be materialized. Though partners leave you in your partnership business, you will not discontinue the business but carry it on, by joining some trustworthy persons and relatives. You need not worry much because the transit of Saturn is in an exalted position and the planet is aspected by the Jupiter. So, the hard nature of Saturn will be softened. If you carry on your day-to-day activities with much care, problems expected to arise with others will disappear. But you may have problems relating to health. You may meet with some minor accidents while going in vehicles. Politicians will have a tough time. You will have a desire to acquire all that you have imagined. Some of you will buy the materials required for your business and also vehicles. You should be careful in the dealings, as the sellers may not be ready to supply goods on loans. Those who are working in Govt. offices will be transferred unexpectedly. Some of you will get some unexpected responsibilities. Your children will meet some set-backs in their studies and carriers. Their behavior will give mental agony to you. If there are favorable planets like Jupiter and Venus in the 5th house, you will be benefited in all ways. Unexpected money-flow will be there. Some of you will buy lands. Unmarried persons may fall in love. Your beloved persons will belong to other religion. Those who do not have a child will be blessed with a child. Your brothers will suffer. You will develop misunderstandings with your brothers. The health of your spouse will go down. Business partners will leave you or start problems with you. Some of you will depart from your friends. You will get favorable judgments in the court cases. There will be misunderstanding between the couple. You cannot have timely food and sleep. Jupiter’s transit on the 10th house on 11TH August 2016 delivers 3 holy looks. One of its holy looks falls on your 6th house which is known for the’ enmity, disease and loan ‘. Because of this you may have to get loans and spend on some necessary liabilities. Moreover you may manage the loans without any problems. You can also manage the enmity, to escape from the problems and to get remedies for the diseases. Another aspect falls on your 2nd house, the house known for ‘ money, family and speech’. This holy look is good because the finance required for the family will come and the family will be maintained. You can also win in the negotiations, debates; etc. Jupiter another aspect falls on your ‘suha sthanam’ i.e. on your 4th house. By this holy look, your education will improve. All your domestic needs will be fulfilled by you. Domestic comforts will increase. Some will construct or renovate the property. You will get the help of your mother or relatives. Your social movements will bring happiness to the family. Another holy aspect of Jupiter falls on your 2nd house. By this holy look, your family will enjoy all prosperities. Your family will witness grand functions and celebrations. There will be adequate inflow of money and you will not suffer for want of money. Misunderstandings prevailed with your spouse will disappear. Women should act according to the advice of the elders. They should avoid expenditures and should control their tongue. During the retrogression of Jupiter, you will have a good financial position and a happy family position . affection prevails among the family members. loans given will come back. job opportunities will be flourishing. Visit the temple of Dhakshinamurthy and light the lamp of ghee; and also offer garlands of yellow flowers and chenna dal. 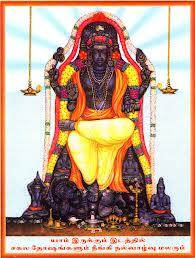 Worship Lord Saneeswaran on Saturdays and light the lamp of Ghee. All your miseries will go away.